MdN, 26 May 2012Right now there's another proposition in the US Senate to kill the freedom of the internet in ... moreThe problem is these days with the economic climate and competition that gives the masses what they want, for Nokia it's adapt or die, and Nokia just doesn't have the image or know-how to be able to do what Apple does and tell people what they want, i mean if Samsung and Sony struggle with phones they've still got their eggs in plenty other baskets and they'll still survive, but Nokia only does phones that are mostly a good 5 years out of date compared to the rest. Anonymous, 26 May 2012I still say if Nokia keep releasing these flagship phones on Symbian customers are gonna look ... moreRight now there's another proposition in the US Senate to kill the freedom of the internet in a way that everyone will have to be online with their IP, email and home address. Such laws usually don't pass, but one day they will, and then iOS, WP7 and Android will have to obey and you'll basically be carrying more spyware in your pocket than now. On this day, people will be glad that Symbian is still around. I still say if Nokia keep releasing these flagship phones on Symbian customers are gonna look at them and think they just not trying, because it may seem a bit extreme but if Nokia don't get with the times i can honestly see them going bust by the end of the decade, because S40's fine for the low end and i really see no future for Windows phone beyond a kind of a protest choice for people who don't like Apple or Google, and i can understand Nokia wanting to stand out from the crowd by not using Android but i think it's inevitable that they will have Android phones eventually as a matter of survival, and i look forward to the day we see the first Nokia/Android combo because then i can start buying Nokia again. in stock, ships on 30th may. Anonymous, 25 May 2012damn it nokia..if you dont change the way you create your phones youll end up dead..battery st... moreThat's the front videocall camera, genius. Anonymous, 25 May 2012damn it nokia..if you dont change the way you create your phones youll end up dead..battery st... moreHave you actually used it to say that the battery is too weak? damn it nokia..if you dont change the way you create your phones youll end up dead..battery still is too weak and a VGA recoding video,oh CMON! 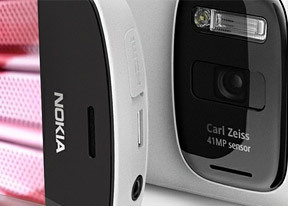 May I ask, it is available now in the market this Nokia 808 PureView? AnonD-8044, 25 May 2012Its all lies Carla is back on IT Has Not Been cancelled, http://www.gsmarena.com/nokia_conf... moreSincerely I am happy to know this. I would like Symbian to live, and to grow big, but unfortunately this will not happen. I hope Nokia will have luck with WP8. If the UI will be completely different, than it will be good. AnonD-51869, 24 May 2012what did u do 2 get your 1st android? This was the advertise which i saw on my tv a couple of ... more@dreamricks, u de man. Nokia 808 is simply nice cos of the camera, overall though its stil the same hardware, design. I was a nokia fanboy for 4-long years. 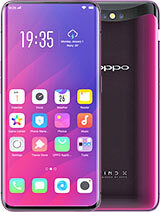 I was disappointed when i roamed their(nokia)website for a monthplus for a real smartphone, i could'nt find a one-in-all phone or better upgrade. Soo, i switched to sony, its a great upgrade plus the super android o.s. Nverthelss, i dont discourag peopl from buying nokia devices. They did some prettynice tweekings with their new belle os. But i stil can't dwngrade to nokia devices or allow peeps to confuse nokia mobilephones to be smartphones. Ok if u stil cant digest my msg: go search the world most best-selling apps: its only available for android nd ios. Half bread is better than none. Nokia, wake up before its too late! .... Could nokia 808 support Xvid and divX video codec ? Want to buy if it is ! 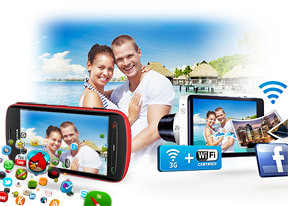 what is yhe price of nokia 808 pureview? Stop buying abandon nokia 0S! Go windows phones!